Sebastian Salazar: First of all, congratulations on your recent re-retirement. I know you played a game in the fifth or sixth division for your old club. Explain how that came about and why you wanted to do that. Lothar Matthaus: First, I like to give something back to my club where I started to play football as a child. I think this was good for the area, for the club, for the fans, for the kids, for everybody and I had a lot of fun. OK, it wasn't an important match, the team won the championship in the sixth division and this was the last game of the season. We had the idea to make the game more interesting and to do something for soccer in this small area where I grew up. Salazar: You were 57 years old when you played the game, how did you feel the next day? Matthaus: Very good, I go to the gym five times a week. I work out every week and I like to do it because I like to enjoy my life in another way. You have to find a balance. I'll go to the gym after our interview today because we had a long trip from Europe to Philadelphia and I like sport. Salazar: So no plans to continue playing? Matthaus: No, I enjoy it. I have a couple of charity games during the year with the Bayern Munich and Germany national team legends. When I'm with friends, when I have time, I like to play soccer and I think it's still my passion, still my love. I'm not crazy to do it every day, but sometimes when I see the ball, I like to kick the ball. Salazar: Before you retired the first time, you came to Major League Soccer. What are your memories from MLS? Matthaus: I had a great time and sure this was not professional like today, because in the last 18 years it's changed a lot. I was living in New York and it was a good experience for me and I think I had good results with the MetroStars, we played the semifinals in the league and the Cup with a small budget. Sure, I wanted more, because I have a winning mentality and [winning] means you don't go only to the semifinals, it means you have to win the title. But I think we weren't good enough, so the result was OK, but [not] perfect. Salazar: Do you have any regrets from your time with the MetroStars? Matthaus: Yes, I had a good feeling to play there, I had a lot of young players and I think we were giving our best. We learned from each other, I learned from the Americans and they learned from me and I think this was a very good thing for both sides. Salazar: What do you think of the level of MLS today and where it's come from when you were there? Matthaus: I follow only from what I see on TV. I think MLS profited from the interest in the league, especially with the likes of [Zlatan] Ibrahimovic and [Bastian] Schweinsteiger in your competition. I think is a reason why the MLS is improving year by year. Kids like to play soccer in America, it's not only some sport, its soccer. This is very important because 20 years ago because no one was writing or talking about soccer, and now about half of the Americans like to talk about soccer, not anymore just about basketball baseball or hockey. It's coming better and better and it has a future in the U.S.
Salazar: Let's talk about new Bayern Munich coach Niko Kovac. What are your expectations for him in his first year? Matthaus: I think he's the right coach, it was a good decision. He was my player in Salzburg when I was coaching Red Bull Salzburg, I made the transfer from Niko to Salzburg because he was a leader, always. He was a captain, he did a great job in Salzburg like a player and he was always thinking like a coach as a player. He made good results with the Croatian national team, he made great results with Eintracht Frankfurt who won the cup final against Bayern Munich. Not only because of this result, I think his mentality, his knowledge and his passion for football. You can feel he loves football and he's open for new ways and Bayern Munich may be seeing the need for a new way, not a coach who had experience and great results with Barcelona, Paris Saint-Germain or Real Madrid. A young generation coach with the right passion, the right heart and the right footballing knowledge to know what Bayern Munich need. Salazar: What would you classify as a successful first season for Kovac from a trophy standpoint? Matthaus: I think he has to find his way, he doesn't have to do things he doesn't like to do. He has to go his way straight and he has the club behind him like Uli Hoeness, like Karl-Heinz Rummenigge that picked Niko Kovac and I feel they believe in him and they will help him when he has some problems. Salazar: It's been five years since Bayern have made the Champions League final. How close do you think this Bayern is to getting back to that elite level? Matthaus: You know the international soccer and Europe has not only one or two teams. Real Madrid have dominated the last three years the Champions League, but small details make a difference and Bayern Munich is always among the top five. I think it's not only because of the coach, but the quality of the players. And when I see the players, now the players for this season, for me, not because I'm an ex-Bayern Munich player or a Bayern ambassador, I like to be straight and correct in my answers. Bayern is always a team that can win the Champions League title in Europe. Salazar: What about this year's team? What do you see as being different from last year's team? Matthaus: Not so much because there's not so many changes. [Robert] Lewandowski is still playing for Bayern Munich, [Arjen] Robben and [Franck] Ribery they had a good season last year, but now the younger generation are coming up like [Kingsley] Coman and [Serge] Gnabry on the wing. The central defenders are the same, the goalkeeper is the same, the midfielders we have a lot of options, national players from Germany, World Cup winner from France, great player from Colombia. We have a really good squad, and the squad is not only 11 players, we have around 20 players that can play at the highest level and I think Niko Kovac has to find the right system for these players who can surprise in international competition. Salazar: You mentioned Real Madrid, [Cristiano] Ronaldo just went from Madrid to Juventus. You lived that before, being a big player making a move from one big club to another. Personally, what's that process like? Matthaus: First, I think Ronaldo is doing a lot for soccer in the world, not only in Spain or Italy. I think it's a great upgrade for the Italian Serie A because one of the best players is going from Real Madrid to Juventus Turin. I see Serie A very well in the future because they have good clubs, a lot of money now and buy a lot of good players, not only Ronaldo. I think the Serie A will be coming back like 20 years ago to be maybe the best league in the future, but it's very difficult because you know the Premier League, with Real Madrid, Barcelona and Atletico Madrid in Spain, everything is possible. I think [it] was a good investment, not only for Juventus, but for Italian soccer. Salazar: Madrid has been a pain for Munich over the past four to five years. What do you think Ronaldo's departure means for Madrid? Matthaus: Real Madrid will find a new star. Maybe they will invest a lot of money now before the season starts, but in another way they have Gareth Bale, the player from Wales, who was sitting on the bench for much of last season and maybe he can get the position from Ronaldo. He has the quality, you saw it always in the national team and in the Champions League final when he scored two goals against Liverpool. I think in this way, they have a lot of options and Real Madrid, with or without Ronaldo, will always be one of the best teams in Europe. Salazar: Let's talk World Cup. What happened to Germany? Matthaus: Bad performances, bad results. Salazar: That's it? Just that simple? Matthaus: It's so simple. Football is simple. 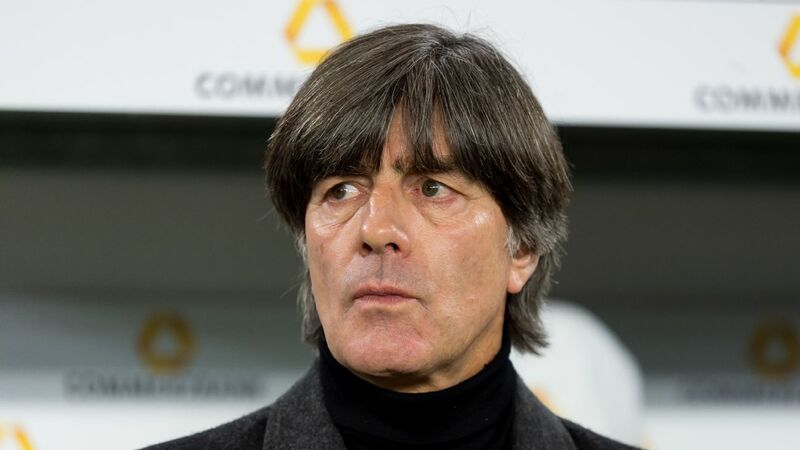 When you play good, you get your results and Germany played badly. For this we get the result how we got it. We were going out after the first round, sure, surprised not only for me, for football fans, for journalists, for everybody. But we didn't perform well and for this we didn't get the chance to move on and maybe this was a punch for Germany, but in the right moment. Salazar: Is there a need for another reboot? Matthaus: Sure. We have to see the situation positively, when something is going well you cannot sleep, you have to work always. Maybe sometimes you have to make changes when results are going well, like Real Madrid in this moment. Ronaldo, after three Champions League titles, he's leaving Real Madrid and is going to Juventus. [Zinedine] Zidane finished his job as coach, because you have to know when it's no longer going in the right way. 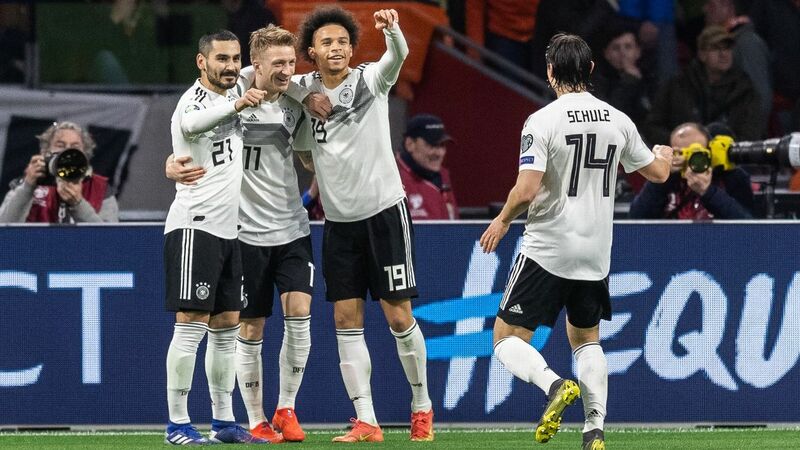 I think this was the right step from Zidane and a good step for Ronaldo and the Germans have a chance to make changes in the team, maybe some more younger players and more speedy players, more team spirit in the national team, because I miss it very much. The team was not playing like four years before. Salazar: Before this World Cup, you were the only field player to have played in five World Cup. Mexico's Rafa Marquez equaled that record and did it against Germany. What did you think when you saw another field player play in their fifth World Cup? Matthaus: I'm very happy for him because I think when somebody is playing in their fifth World Cup, he's done a great job. A long time. He was doing well for Mexican league football and the national team, he was playing in many countries. He's an idol in Mexico and I'm happy for him, he's played five World Cups. I'm angry when he plays six! No, it was just a joke, I'm very happy for each player. I have this record with Marquez and now with two goalkeepers, [Gigi] Buffon is one of them and I'm very happy I played five World Cups and now what they're doing, I cannot manipulate it. If someone plays six World Cups, they deserve to be congratulated. Salazar: What does it take to play five World Cups? Matthaus: First, a lot of energy, a lot of passion, a lot of love and a strong mentality because you have to have to always have motivation. Year by year, season by season, I think this is the most important thing when you play such a long time at the highest level. Salazar: Given what you saw from Mexico against Germany, do you think there are any players in that Mexican side capable of playing for Bayern Munich? Matthaus: Mexico has a lot of good players, especially in their offense. They have fast players who can play in the Bundesliga, I don't know if they are good enough for Bayern Munich because I have to follow them for an entire season. But their performance in the World Cup, I saw a lot of players who really can play in the German Bundesliga because they have the quality. Soccer is the main sport in Mexico, it's very important for the Mexican people. It's their passion, it's their religion and Mexican football was always one of the best in the world. Salazar: How surprised were you by Mexico's performance against Germany? Matthaus: We made it easy for Mexico. They were playing their system, coming from the defense to the offense fast. 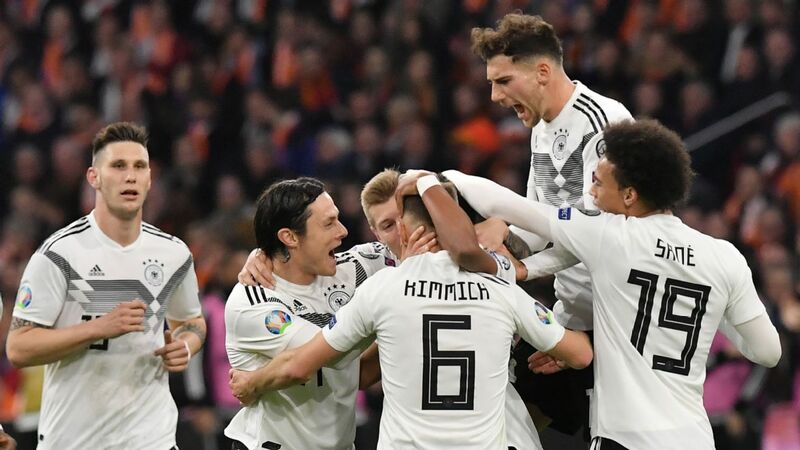 We didn't hit our rhythms and for this, Mexico was looking very well against Germany, but not only because they played good, the German performance was very bad. Salazar: What made the Argentina vs. West Germany rivalry special? Matthaus: Argentina against Germany, three World Cup finals. This makes the story special. 1986, 1990 and 2014. Always very good players on both sides, especially Argentina now and then, the world's best player, [Diego] Maradona then and [Leo] Messi now. Germany coming more from the team spirit and this is maybe the difference between the football in South America and Germany. Salazar: I want to ask your reaction to Mesut Ozil's recent comments about leaving international football as long as he feels the racism and disrespect. What did you make of his comments? Matthaus: I think football is football, politics is politics. Mesut made a good job for Germany in the last years, but in the last one and a half years he didn't have the same performances like four years ago when we won the World Cup in Brazil against Argentina. I think his time to play in the national team is over, not because of some picture or political decision, I don't care, I see the football player, Mesut Ozil, and he didn't perform like before. Salazar: What about the issues he brought to light. He made some pretty serious claims about racism at the highest levels of DFB. Do you think DFB has a racism problem? Matthaus: No, absolutely not. We have so many immigrants from Germany and we say welcome to all the world to Germany and Mesut was playing the last 10 years in the national team. Sami Khedira, [Jerome] Boateng, Gnabry, so many immigrants from outside, I think we don't have a problem. He has a problem now to find an answer of this retirement from the national team. Salazar: Do you agree then with Uli Hoeness said, that he's using this to hide behind his poor performance? Matthaus: I never speak against Uli Hoeness, but okay, Uli Hoeness was very angry this morning because this was too much about Mesut Ozil. The German team lost the games against Mexico and South Korea, not only Mesut Ozil. But Mesut Ozil is a part of this national team and he's normally a leader, but in the last one or two years he didn't show he's a leader, he didn't show the right performance and then was coming all these things from outside and this makes a story. But for me, it's only important, Mesut Ozil can help the German team or not and I have this feeling that in the last one and a half years, he never played on this level and now it's time for changes. Salazar: Do you think the German national team will miss him? Matthaus: No. We have a lot of good players and when we some player cannot perform like before, we have the option to give the new generation the chance to help us make the results like 2014. Salazar: Tell me a little bit about the summer tours. What does a team get out of an international tour? Matthaus: I think the clubs like to do it because it's a great tournament, it's a great idea and we can see it in the number of spectators. The clubs like to come with the best players possible, sure we had the World Cup, sure the players need a summer break, sure we will miss a couple of great players, but it is the same, it's a chance for the young players to give a good performance to show the coach. When it see Bayern Munich is coming with Ribery, Robben and [Javi] Martinez, with a lot of national players, Bayern Munich is present in the U.S. in a great way. We already saw the first game, 3-1 against PSG in Austria, I think we saw it's a serious tournament. Salazar: What does the Bundesliga need to do to catch up to the Premier League in terms of marketing? Matthaus: The Bundesliga has to go out from Germany. Nobody will come to the Bundesliga, the Bundesliga has to go out and present their performance, their names, German football. We don't need only Bayern Munich and Borussia Dortmund, we need all the clubs. Cologne, Frankfurt, Leverkusen, all the Bundesliga need to understand we need to show ourselves all across the world. I think we will learn from England and Spain and Italian clubs because they've been doing it a little longer than us, but we will do it. Salazar: Some people say that Munich's struggles in the Champions League have to do with the lack of competition in the Bundesliga. Do you agree? Matthaus: I think Bayern Munich want to have a stronger competition in the Bundesliga to have the spirit until the last moment in the league too. Because when you've won you're title, maybe you're not so focused and concentrated in your training session during the week and this is not good especially at the end of the Champions League. Bayern Munich are so far away from the other clubs, not only the football fans in Germany, Bayern Munich hope for a stronger championship too. I think not Bayern Munich's fault, it's the fault of other clubs, because they don't perform well enough for a stronger competition in the Bundesliga. Salazar: Is there anything Munich can do to make up that gap? Matthaus: Juventus has the same problem in Italy the last six or seven years. 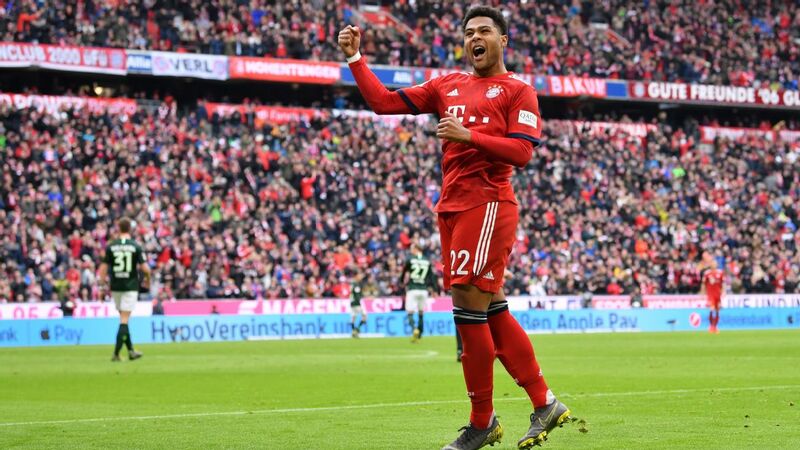 Other clubs will work and I'm sure Bayern Munich is always the favorite in the Bundesliga, but this year, this season will not be as easy as the last four or five years. Matthaus: England and Spain are ahead of Germany and then close behind are Italy and France.